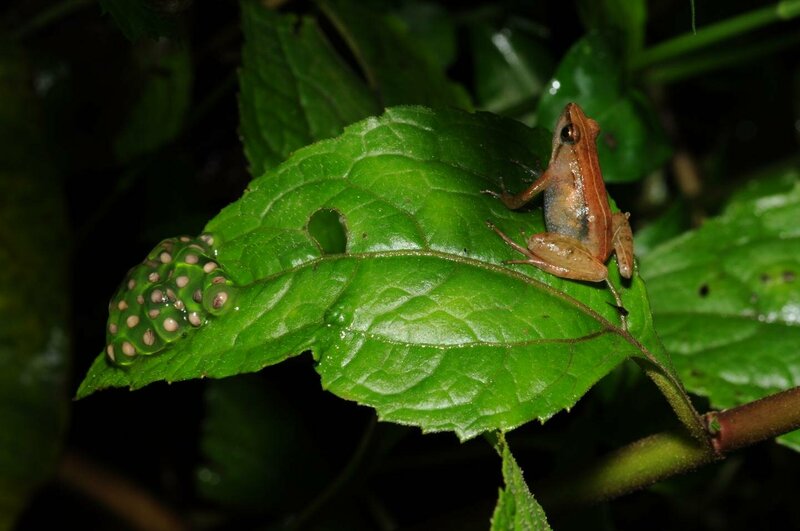 A new species of puddle frog has been found in a previously unexplored mountain in southwestern Ethiopia, APA learned on Wednesday. The creatures have characteristics that make it easily distinguishable from other Ethiopian puddle frogs, such as a slender body with long legs, elongated fingers and toes, and a golden tint. DNA sequencing of tissue samples taken from the minute frogs by a team at NYU Abu Dhabi confirmed that it was genetically different from any other species. The Bibita Mountains in southern Ethiopia is an area of isolated forest that had remained unexplored by scientists until last summer. The tiny frogs were given the lengthy scientific name Phrynobatrachus bibita sp. nov. and measure 17 mm long for males and 20 mm for females. The new species are easily distinguishable from even closely related puddle frogs due to its unique morphological characteristics. Dr Reyes-Velasco, who initiated the exploration of the mountain, said the fruitful trip was in fact a second attempt by the research team to the region. He said: ‘We tried to reach Bibita in a previous expedition in 2016 without success. Last summer, we used a different route that brought us to higher elevation,’ he added. The region from which the frogs were found is one of the few remaining areas of highland that still survive in Ethiopia. The species were discovered in just two days after the team began exploring the mountain, according to the Daily Mail.